Pioneers in the industry, we offer differential global positioning system-dgps, gensets with sound shield, data logger device, tracker, torque measuring equipments and shock pulser from India. Differential Global Positioning System (DGPS) is an enhancement to Global Positioning System that provides improved location accuracy, from the 15-meter . 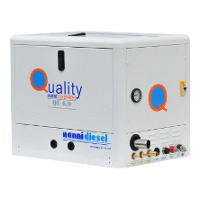 In order to work as quietly as possible, the QMS gensets are available in a sound shield enclosure allowing them to reach a threshold of 54dB at 7 meters, the equivalent of a dishwasher. All QMS gensets have a rotation speed of 1500rpm, giving them low noise and vibrations levels, while reducing friction and wear. 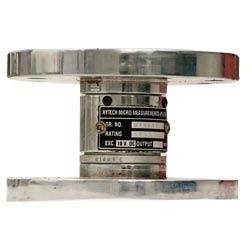 Moreover, electrical connections, sea water entry and exit connections as well as the exhaust hose are integrated in the box. Easy access to the different service points of the engine and alternator is possible thanks to light and removable panels. 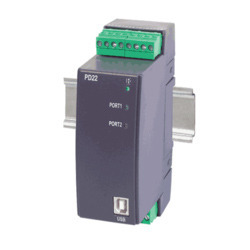 The PD22 logger is destined for telemetering computer systems as an intermediate element in the data exchange between the object side and the master system. The logger speeds up the data exchange between devices and the master system. Moreover, it allows to increase the number of devices connected to the system. Tracker provides you with both an economically priced spot strobe and power you never have before. 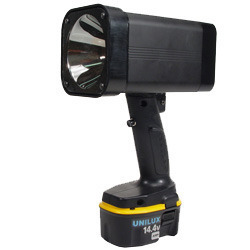 The bright illumination from .9, 1.2 and even 1.5 meters, makes this the most versatile battery powered strobe for both inspection and maintenance. The long life, quick-charge battery gives you all day performance and insures that you will never have down time. We are offering our range of Torque Testers which is known for fine quality and is available with digital LED display, balanced force digital sensor and auto peak hold facility on indicators. These are manufactured in various sizes and specifications and packed in excellent quality materials. We charge industry leading rates to clients’. There are three major types of tools for finding bearing defects using vibration techniques: Vibration pen Shock Pulse Measurement (SPM) Vibration Analysis. Looking for Electrical parametrs ?